Erwin “Magic” Johnson started playing in the NBA in 1979. His rookie season was with the Los Angeles Lakers and continued to play with the Lakers as their Point Guard for 13 seasons. Magic retired in 1996 but continued to work with the Lakers. 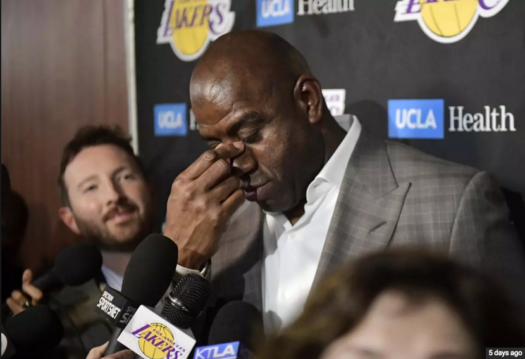 While Johnson played with the Lakers he received 5 world titles, and after he retired he continued to work with the lakers as The team’s president of Basketball Operations. Until last Tuesday, he quit as the president of basketball operations.